Pak Radio Best Selected music station in the world where you can listen to English Urdu , Hindi , chines , japanes Music Radio Stations and every week top 2 selected Radio Stations are added in Pak Radio App. Pakistan Radio or Pak radio is an app Developed by Faheem Ali for All you music Lovers Out their so you can enjoy the unlimited music for 100% Free not in-App Purchase no Nothing. 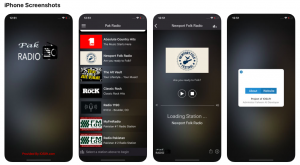 Pak Radio is available on the App Store you Can Get it As Soon As Possible Top 10 Lucky Winners will win Apple AirPod By Just Leaving a Review how you like Pak Radio App.